I275@Lawbg,US50E,2.5mi LT-Stateline Rd,4.5mi RT-Bond Rd,1/4mi Home-LT.Sign on. 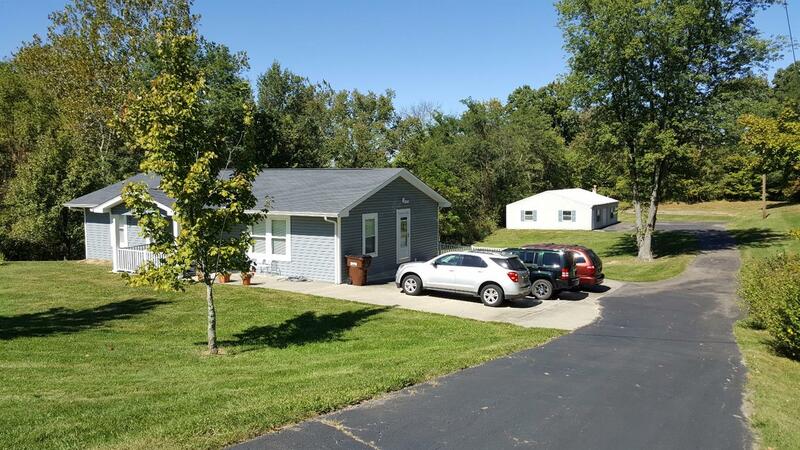 Well-maintained!New in the past year:High eff.GasFA,Central Air,LL SunRm,some carpet,bathrm vanity,storm drs,vinyl siding,more!New roof shingles:2008.Lg eat-in kit&LR.Full W/O bsmt w/FR,2 extra rms for office/?,util&storage rms.Pole barn:30x40 w/elec+concrete flr,blktop drive,patio,front porch.Located close to I275/Kilby Exit or I275/Lawbg Exit! NOTE: This property was sold on 1/8/2018 and is no longer available. The details listed below are believed accurate to the date of the sale and are subject to change.